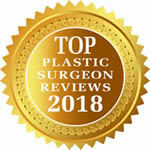 All facelift plastic surgery consultations and the procedure itself is performed by Keith M. Blechman, M.D., an Upper East Side NYC plastic and reconstructive surgeon, Board Certified by the American Board of Plastic Surgery. Over time, the effects of stress, gravity, and sun exposure manifest in the contours and texture of our faces. The inevitable appearance of creases, folds, wrinkles, sagging skin, and a poorly defined jawline are what we associate with an aging face. A facelift is a surgical procedure that counteracts the effects of aging by re-suspending the facial musculature and re-draping the soft tissues to establish a more youthful jawline and face. During your consultation Dr. Blechman will discuss your desires and expectations with you, and an individualized plan tailored to your needs will be explained. A facelift is performed by making incisions above the hairline in front of the temples, and extending them in a natural line along the front of the ear and back around the ear lobe onto the scalp behind the ear. 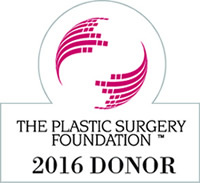 The facial muscles are then tightened and excess skin is pulled back and removed. Only the necessary amount of skin is trimmed so that a natural appearance results. A small amount of liposuction and tightening of the neck muscles can be done through a small incision under the chin if needed. A facelift takes approximately three to five hours to complete and is performed under general anesthesia or sedation. Patients go home the day of surgery, typically with a private duty nurse for one night, and are permitted to walk around and commence with light activities. Some patients may benefit from combining a brow lift or eyelid surgery (blepharoplasty), at the time of their facelift. Typically only mild discomfort is present following a facelift. Swelling, bruising, and some numbness of the skin are expected and usually will resolve in a few weeks. Dressings and drainage tubes are removed the day after surgery, and stitches are removed shortly thereafter. It will take a few weeks for the aesthetic changes from surgery to become apparent and after a few months the final result will be evident: a more youthful and rejuvenated look that will last for many years. Some patients may ultimately find that they appear at least a decade younger. Complications are uncommon. 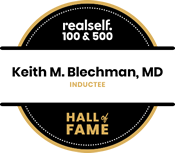 As an experienced, board-certified plastic surgeon, Dr. Blechman takes a conservative and educated approach to facelift surgery, and will discuss in detail all the risks, alternatives, and benefits prior to performing surgery.